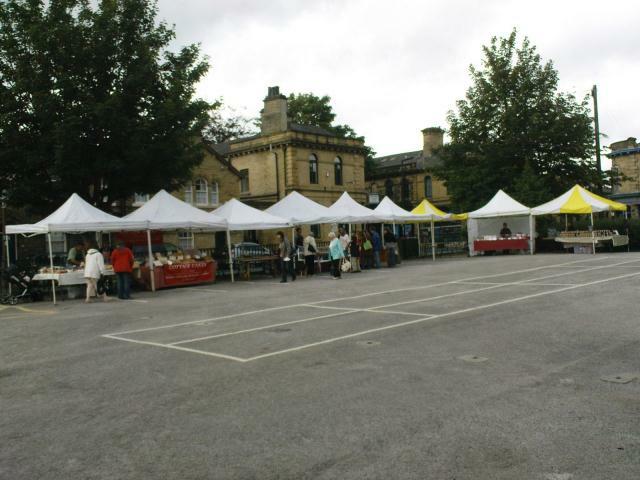 Saltaire Farmer’s Market (third Saturday of the month) never fails to disappoint. Today, there were eight stalls stretched across a whole car park. That’s a lot of empty tarmac. One cheese stall, a couple of meat stalls, with the rest made up with cake and biscuit stalls. No soup, no pies, not even any fruit and veg. Definitely no roast pork sandwiches. When it was launched a couple of years ago, the market was packed, with plenty of stalls (maybe well over twenty) selling a wide range of produce, but the range and quantity of sellers has dwindled over the years, along with the enthusiasm of the locals, it seems. There is a small group helping to advertise and support the market, led by Magic Number Three, but it’s probably not enough to keep it going in the long term. I can’t imagine that many stallholders will make a profit today, based on the volume of people we saw there this morning.